Traditional mousse made from scratch is airy, indulgent and delicious, but can be a bit of a hassle to make; it involves a lot of attention over the stove and then you have to wait for it chill. Though worth the wait, we’ll never turn down a little shortcut, especially when it comes to a great tasting dessert, which is why we love this Easy Chocolate Mousse Pie. It only requires a few ingredients, the magic one being instant pudding and pie filling mix. 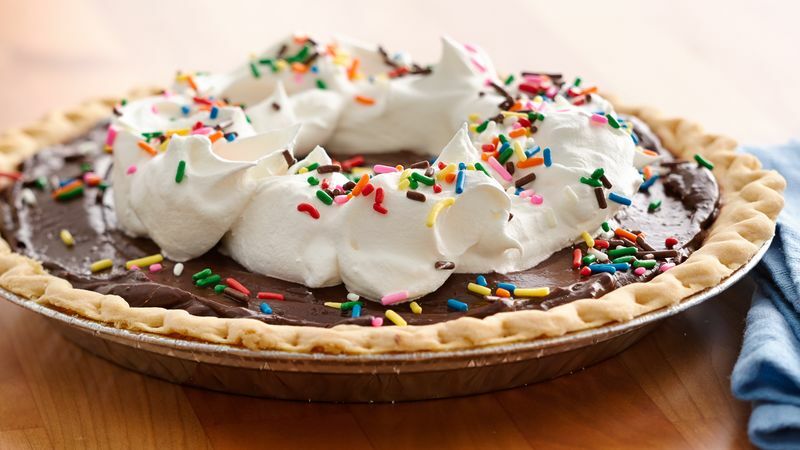 Dress this pie up any way you’d like for pretty presentation to make it look like you spent all day on it—dollop with whipped cream and garnish with sprinkles or chocolate curls. Have some extra time? We have a bunch of delicious chocolate pie recipes perfect for any occasion, plus all of the tips and tricks you need to know to make the perfect slice.